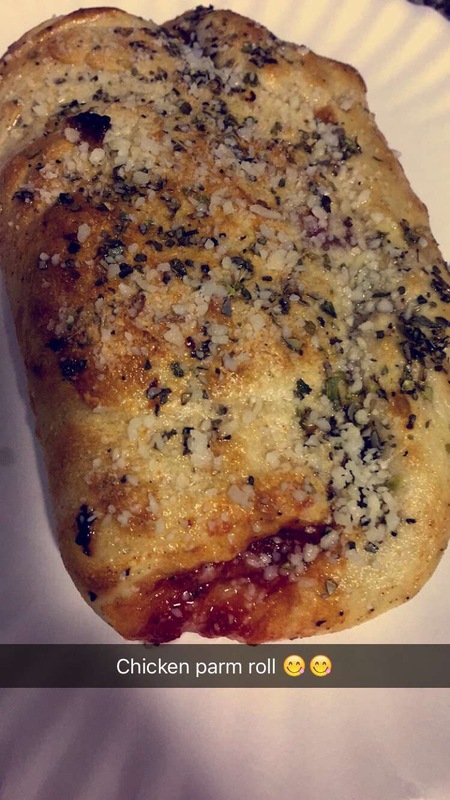 This recipe is very similar to my homemade pizza rolls recipe I posted several days ago. The only difference is the toppings. — For the dough you will need: 2 cups flour, 2 and 1/4 teaspoon yeast, 1 teaspoon salt, 2 tablespoons oil, 1 tablespoon honey, and 2/3 cup of water that is 120 to 130 degrees (that’s if you use the same exact yeast I do, all yeast is different). Mix all the dry ingredients, and then add water (be sure to check the required temperature for the yeast you have), oil, and honey. Mix it all together until you get a nice smooth dough ball. Knead the dough for about 2 minutes. Let it sit for about an hour to rise. While the dough is rising, shred the chicken. After dough has risen, add chicken, cheese, and marinara sauce on the inside. Roll it up and stick in the oven! Cook on 350 (everyones oven is different) for about 15-20 minutes. Add oregano and parmesan cheese. Enjoy! Mmmm… Yum! Sounds delicious! Thanks for sharing this! !